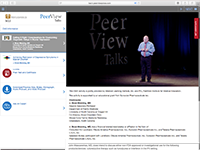 The PeerView Institute provides continuing medical education (CME) and professional development activities to a worldwide network of physicians, nurses, and healthcare professionals. Through collaborations with leading academic and non-profit providers, health systems, professional societies, and patient organizations, we are dedicated to improving the knowledge, competence, and performance of clinicians, patient outcomes, and, ultimately, public health through education that targets existing gaps and needs on local, regional, national, and international levels. Physicians, Nurses and healthcare professionals can earn credit towards their certification with PeerView’s free online and live CME/CE/CPE programs . 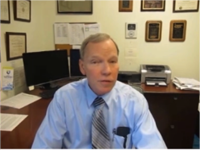 Our accredited activities provide clinicians with innovative solutions for measurably improving patient outcomes and clinical competence, performance, and quality that leverage the integration of live, on-demand, and QI approaches, engaging busy professionals when, where, and how they learn best. Healthcare professionals who participate in an educational activity through PeerView can apply earned credits toward ABIM MOC and state CME requirements. Our medical education activities provide healthcare professionals with an interactive and engaging experience for earning CME credit when and where they want. Developed in conjunction with leading medical experts, our online programs deliver the latest in medical science data and provide evidence and insight into emerging topics. 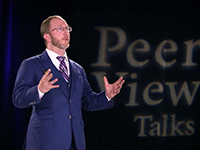 With a variety of multimedia program formats across 29 specialties, PeerView is a leader in providing the best educational solutions for meeting your learning objectives. 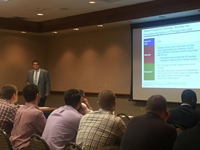 PeerView’s live CME accredited symposia, meetings, and workshops held at major medical conferences and key point-of-care facilities, leverage all the interactive advantages of bringing learners together with expert faculty in real-time. Live webcasts and virtual meetings permit learners to benefit from synchronous access to leading experts without the expense of travel and time away from patients.